Water to water geothermal heat pumps are gaining popularity with smart consumers. They work great with a wide range of outside operating temperatures, they are compact in size, they can heat or cool and the can be used in a variety of applications. These include radiant floor heating systems, under floor radiant applications, snow melt for side walks and driveways, fan coil, Aquaculture, hydronic heating and domestic potable hot water generation in both new construction and retrofit applications and process water installations. They come standard with Scroll compressors, R-410A refrigerant, to provide exceptional COP (Coefficient of Performance) and a high EER or Energy Efficiency Ratio. 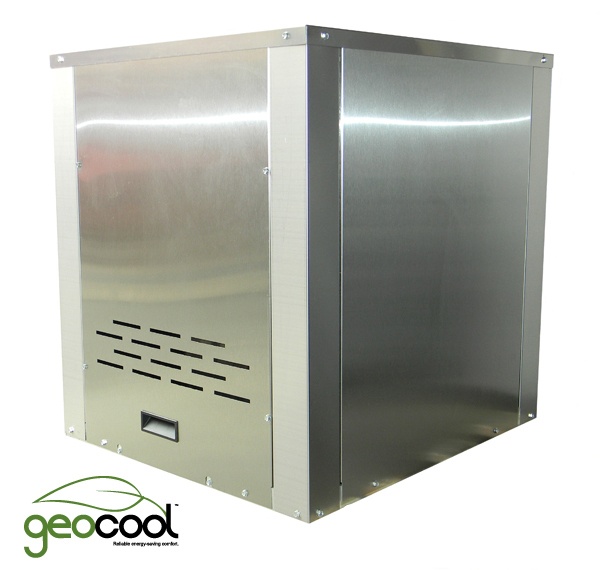 They work by taking the heat from the earth (Geothermal) and transferring that heat with a liquid to where you need it in your home or business.